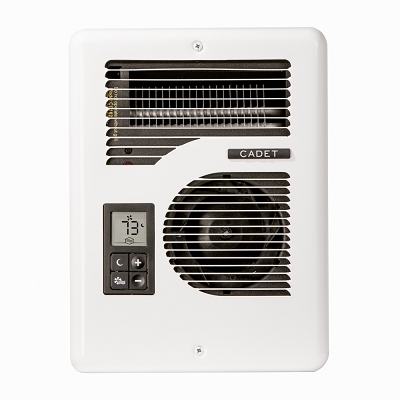 Use up to 30% less energy and experience more comfort with precise, consistent temperature control. 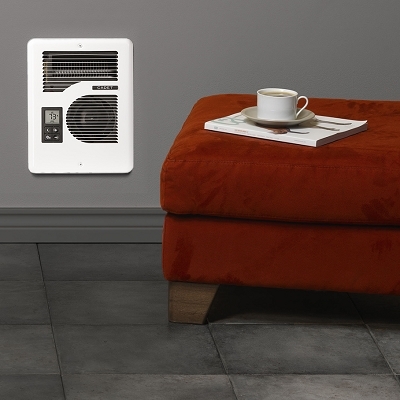 The EnergyPlus heater uses an intelligent control and auto adjusting fan speed to maintain the desired temperature for your room within 1°. Delivering only the heat you need for maximum efficiency. New design performs even more quietly. 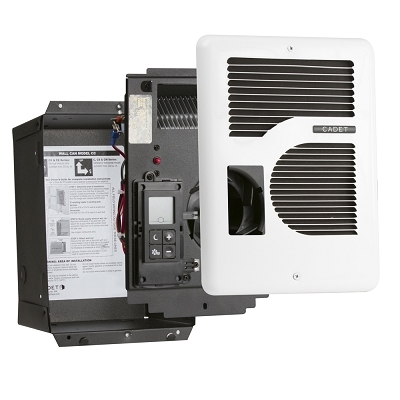 Easily update old heaters: uses same wall can as many Cadet Com-Pak series units, so no wall patchwork or additional wall board cut outs should be required. Factory set at 240 volts, built-in sensor automatically detects incoming power supply for easy installation. 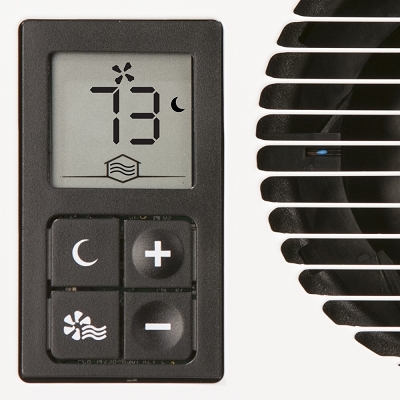 Simple black and white wire connectors included to switch heater to required voltage for your existing circuit.